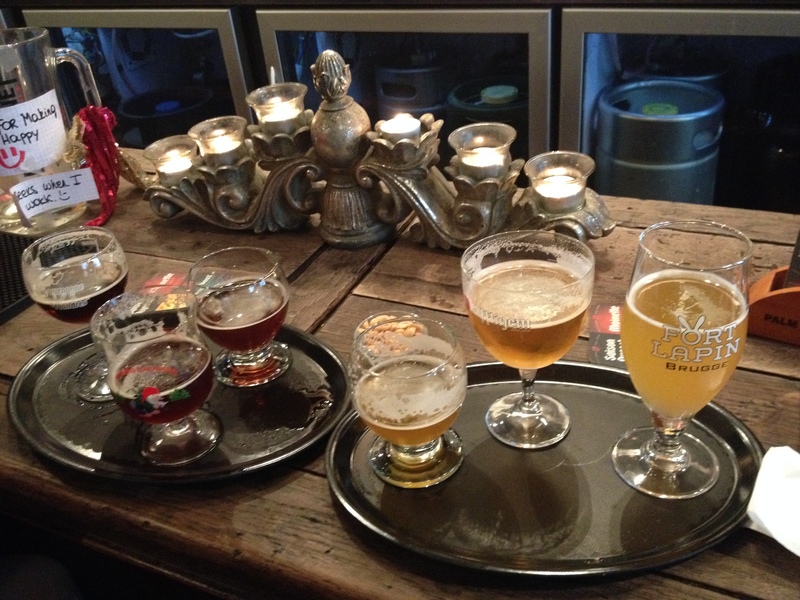 Everyone told me: I have to go to Bruges when I found a man to go with…. Well, its easier to find a cheap ticket! Travelled form Brussels by train, easy and comfy. 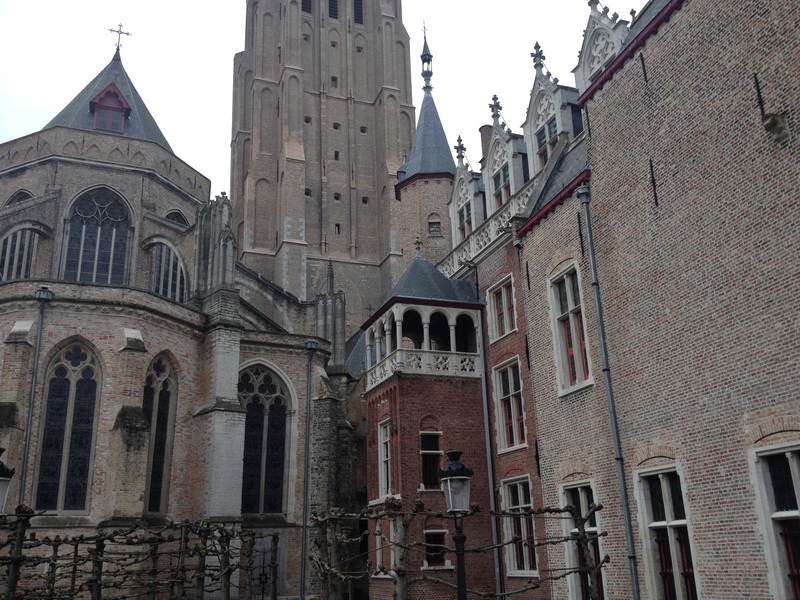 When arrived to Bruges I did not know what to expect but a mega romantic day. We ( me and the man I found ) just followed the crowd with the thought it is a small town, we can not get lost. Ha! I can get lost anywhere! 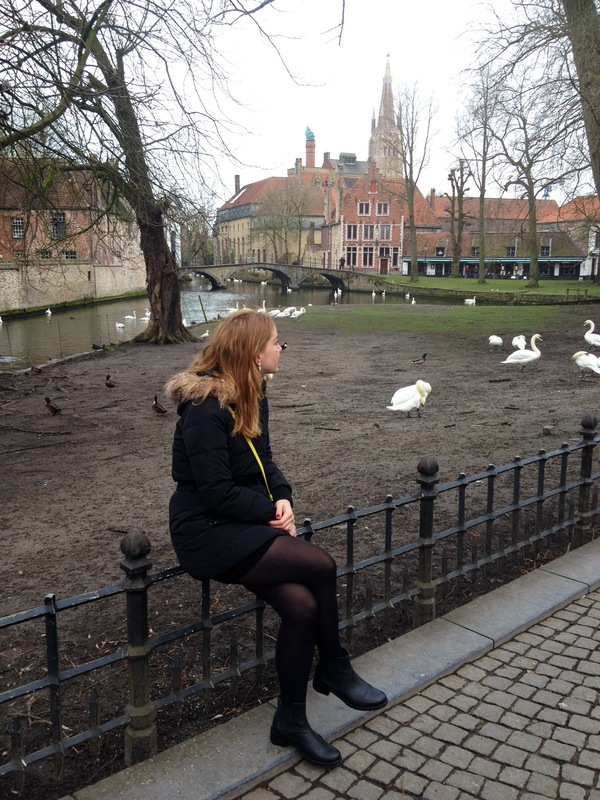 The scenery of Bruges is just purely gorgeous and yes, very, very romantic. Small streets, river, big trees, little pretty buildings and plenty tourist! Couples. Couples everywhere! Thanks for my friends suggestion and I did not come here by myself! We walked. We laughed. We kissed and we fell in love with Bruges and each other. When we had enough wondering around, we start looking for somewhere to eat. Food is very important in both of our life. 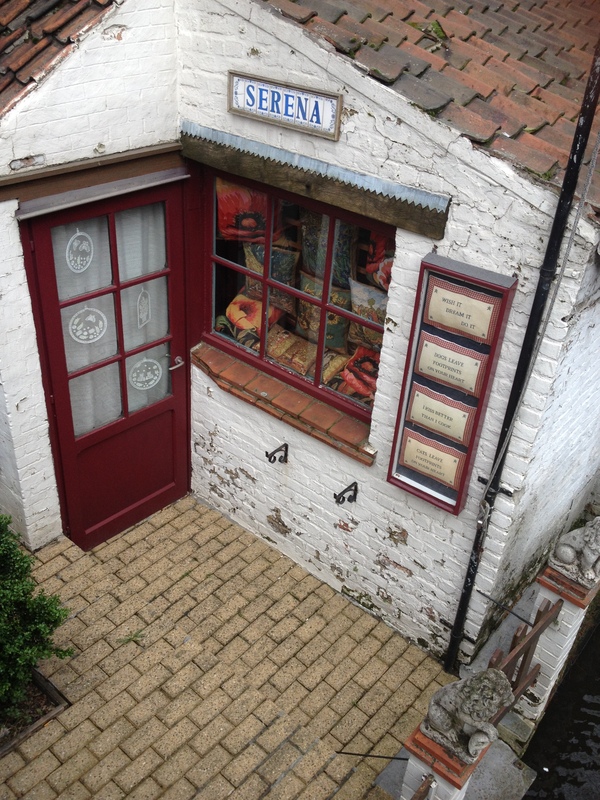 We passed this tiny wee pub where the sign on the window said: Beer tasting. Yes! Liquid lunch! What a place! You get blonde and dark beers to chose from plus you can have cheese or sausage to have with your beers. The sausages are hanging up at the bar and named after bedtime story characters. We had Bambi. My childhood got ruined and I felt guilty but…well it was rather delicious! The whole atmosphere was buzzing. People coming and going, drinking and eating. The barman told us about the beers or anything really we wanted to know. Very friendly dude! We got a bit tipsy so decided to seriously get some decent food. We found this good looking real Belgian restaurant and got some late lunch. Oh my! Those waffles! Hmmmm….. I wanted to be extra romantic and go for a horse drawn carriage tour. Poor man! We seen them everywhere so followed them and got to this square in old town. They told us that is actually the resting place for them and we have to go the other side of the town to get the tour. Mega romantic experience ended without even started. We could not be bothered just went for a wonder again. Yes. 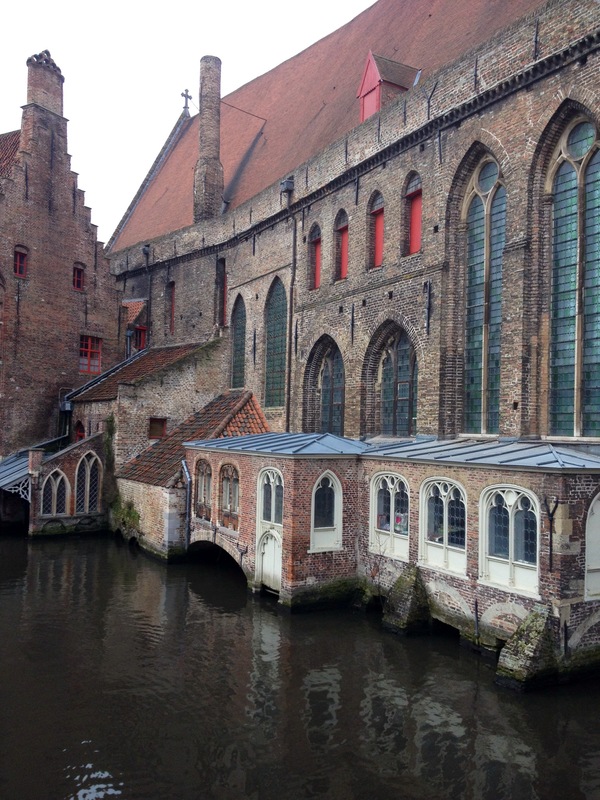 It is possible to get lost in Bruges! The day has gone and I was lucky to take every right turn and get back in time to the train station. Bruges is nice. Well pretty, good food and lovely people. Negative side is full with tourists like no locals exist except the server in the bar we went. I generally do not recommend it to any single person. I would have felt weird but with the right man on my side it was a very romantic and a brilliant day out!